Grow the Game & Your Association with Mass Hockey! Did you know Massachusetts provides subsidies for local Associations to purchase equipment to Grow the Game? You can order up to 3 pairs of Intermediate Nets ($250 per pair) with FREE SHIPPING if you place the order by this upcoming Sunday, July 22nd! 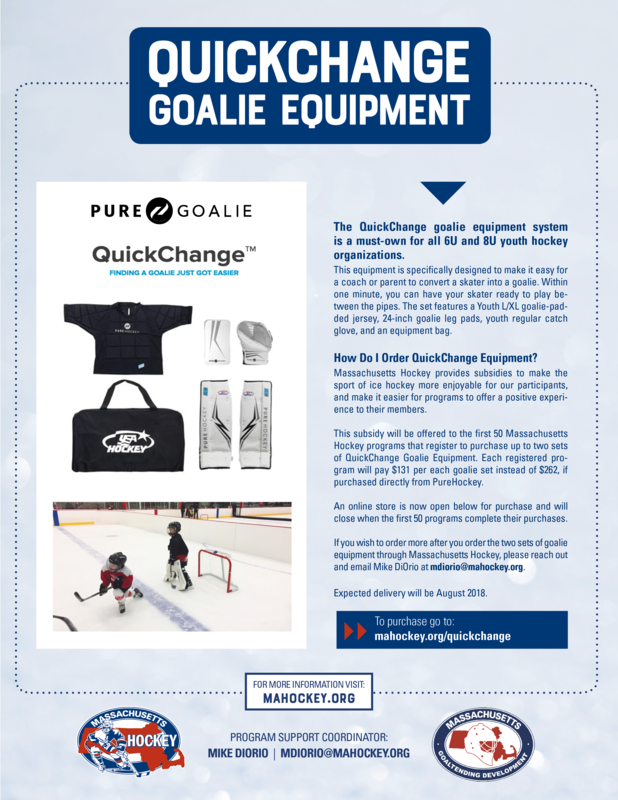 You can order QuickChange Goalie Gear, which includes a padded jersey, 24-inch goalie leg pads, youth regular catch glove and an equipment bag. 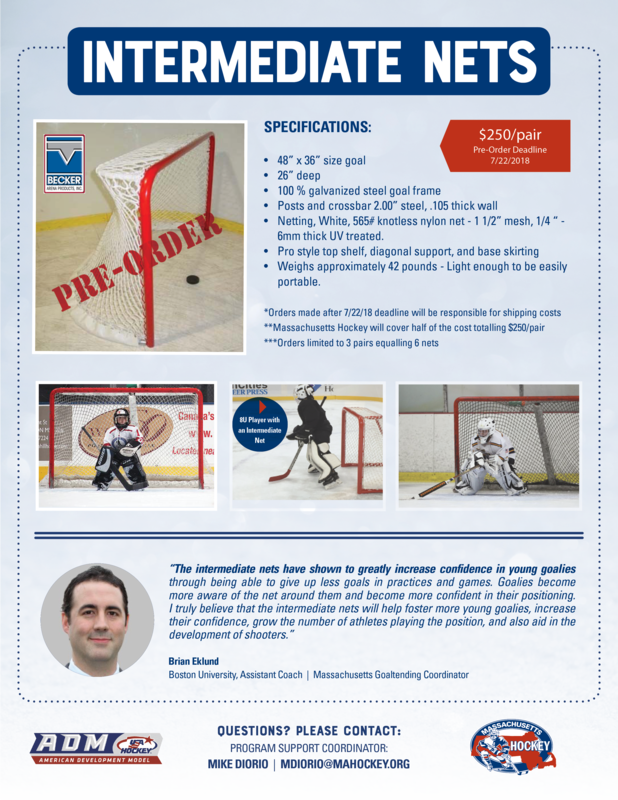 All for $131 per goalie set, instead of $262 per set if purchased directly from Pure Hockey.